In his role as Senior Consulting Partner for Partners In Leadership, Don brings over two decades of experience as an executive coach and workshop facilitator in the management consulting and training industry. 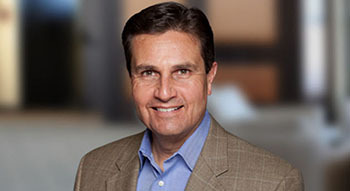 As a seasoned executive whose careers spans multiple industries, Don is expert at implementing strategies to create greater accountability throughout the workforce, while positively shaping organizational culture. Over the expanse of his distinguished career, Don has become a proven champion of performance improvement with some of the world’s most respected Fortune 500 corporations and government authorities including, Accenture, American Express, Applebee’s, Avon, Cox Cable, Dell, Discover Card, Ernst & Young, Falken Tire, Federal Aviation Administration, Halliburton, Hewlett-Packard, Little Caesar’s Pizza, Microsoft, NASA, National Cancer Institute, Nike, Panasonic, Radio Shack, Ritz-Carlton, Sony, Sun Microsystems, Tyco, the United States Department of Defense, the United States Navy, Wells Fargo, and Wyndham Hotels. Don possesses an expert ability to communicate with leaders from any country or culture. His insightful consulting approach and dynamic motivational speaking style has earned him accolades as a high-caliber facilitator with organizations across the Americas, Asia-Pacific, Europe, and the Middle East. As a frequent keynote speaker, audiences and groups enjoy Don’s engaging yet thought-provoking style. After his keynote address at the University of Abu Dhabi Business School, Don was recognized at a royal dinner at the palace of the Crown Prince of Ahbu Dhabi, Mohammed bin Zayed Al Nahyan. Significantly, Don traveled the world for five years to empower the existing and emerging leaders of Accenture, the well-known consulting and technology services outsourcing company. He was sought after to work with the Malaysian leadership team of global banking giant HSBC. Don worked closely with the key leadership teams of the international Fortune 500 utility holding company PPL Corporation during and after several mergers and acquisitions to help ensure a well-led cultural integration. Don received a bachelor of science in finance from Utah State University’s Jon M. Huntsman School of Business and is a Certified Executive Coach through Columbia University.